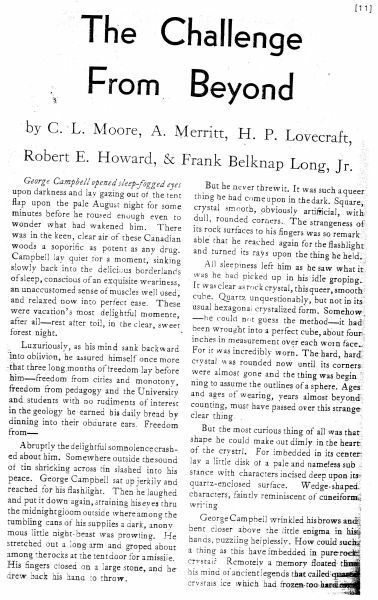 A facsimile reproduction of the original appearance in FANTASY MAGAZINE, September 1935. 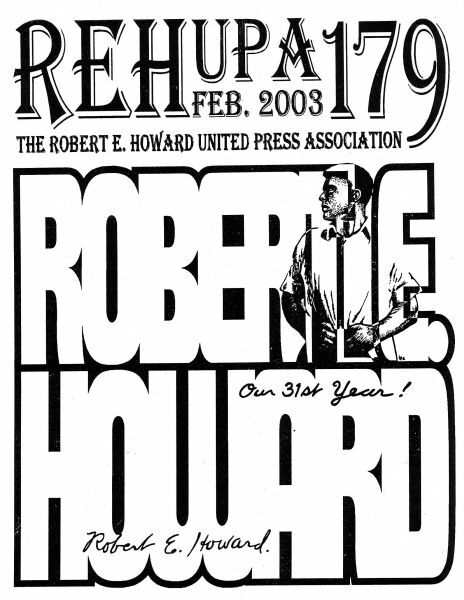 The Robert E. Howard United Press Association is an amateur press association (apa) that was started by Tim Marion in 1972. 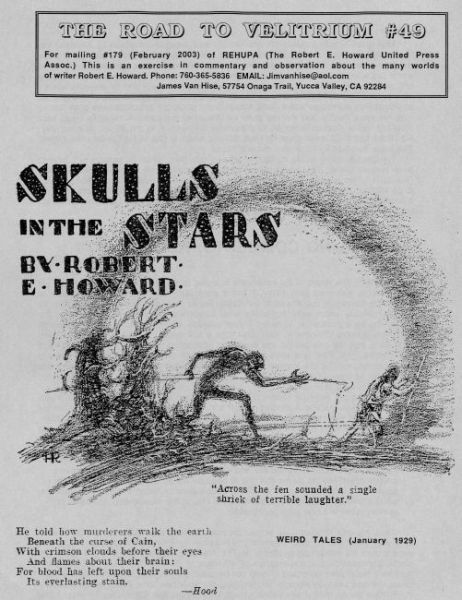 An apa is a means for distributing fanzines to a specific group of people. Typically, each member of an apa produces a short fanzine and sends an appropriate number of copies to an official editor who collates and (usually) staples one copy of each zine together, adding covers, an official organization and a table of contents. The editor sends out the collection of zines, called a mailing, to each member.